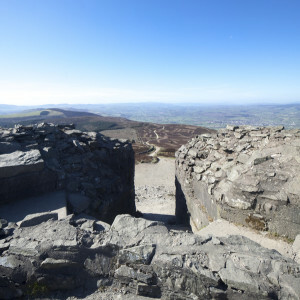 The repair works to the Jubilee Tower on the summit of Moel Famau have now been completed. The BBC north east Wales team report that the Jubilee Tower was officially opened earlier this month following the completion of a programme of works that took several, weather-affected months. The specialist team from Grosvenor Construction started work back in February and had to endure cold temperatures and 6ft snow drifts earlier in the year followed by very hot days during the summer months. Have you recently visited this iconic landmark and if so, what do you think of the renovations works?